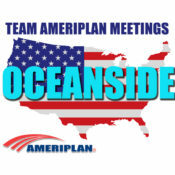 TAM Team AmeriPlan Meetings happening across the country in key marketing areas. Go to this link and view the listings of all the TAM and Founder’s Forum we currently have scheduled. Please not that locations can change so always refer to the current listing or contact AmeriPlan Corp of the latest into. You can always contact VP of Sales by email for more info. And please use our Online Chat for quick response to all your questions. Our Online Chat thru Corp Websites! you can register so we know you’re coming! Look forward to seeing you! I BAKED COOKIES EVERYONE….. 🙂 SEE YOU THERE! Peanut butter please & thank you!